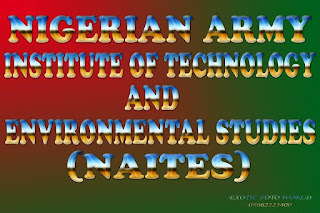 Nigerian Army Institute of Technology and Environmental Studies [NAITES] National Diploma (ND), Higher National Diploma (HND), Certificate Courses Admission Forms, Admission Requirements, Application Guidelines, Entrance Examination Schedule for 2018/2019 Academic Session. 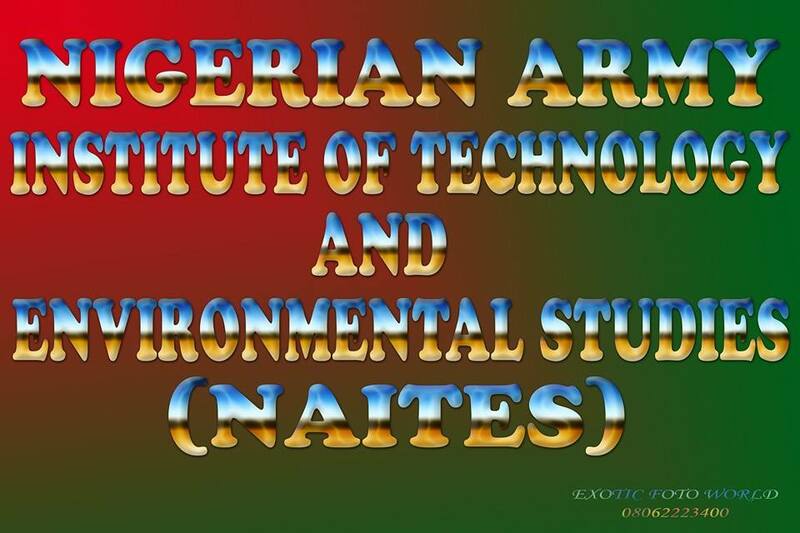 This is to inform the general public that the sales of application forms into the Nigerian Army Institute of Technology and Environmental Studies [NAITES] are currently on sale for 2018/2019 academic session. Admission is Open to Military, Para-Military Personnel and Civilians. Latest Update:NAIITES Second Batch Admission Screening Exercise comes up on 22nd September, 2018. Certificate Courses for 3 Months, 6Months, 9Months by NAITES Consult Directorate. Application Form Cost: N6,500 (Includes Form Fee: N3,000, Examination Fee: N2,500, Bank Charges: N200 and Result Checker: N700. Fill the whole form and submit. The print a copy of your summary application and Examination Card. NOTE: Forms are also avaliable in Hard Copy at different sales outlets across the country and at NAITES Campuses in BIU and Makurdi. Applicants are to come along with the print out of their examination slip on the day of examination. Entrance Examination for 2nd Batch ND applicants is scheduled to commence on 22nd September, 2018. Venue: NAITES Campuses BIU, Borno State, and NASME Barracks, Makurdi.